Thanks egnsoftware, I've been using the software egsupermatrix and it is very satisfying. And in support of any party to cooperate satisfactorily. Every problem can be solved quickly and effectively. Thank you. As always, the support provides fast and very useful help! Thank you again! Thank you to EGN Support for their precious help to restore payments functionalities on my EgSuperMatrix website. 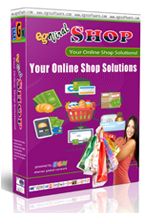 If you are looking for MLM/Matrix script provider with excellent support, choose EGN SOFTWARE. Thanks!